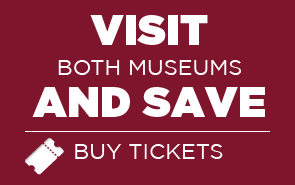 The founding of Jamestown, America’s first permanent English colony, in Virginia in 1607 – 13 years before the Pilgrims landed at Plymouth in Massachusetts – sparked a series of cultural encounters that helped shape the nation and the world. The government, language, customs, beliefs and aspirations of these early Virginians are all part of the United States’ heritage today. The colony was sponsored by the Virginia Company of London, a group of investors who hoped to profit from the venture. Chartered in 1606 by King James I, the company also supported English national goals of counterbalancing the expansion of other European nations abroad, seeking a northwest passage to the Orient, and converting the Virginia Indians to the Anglican religion. The Susan Constant, Godspeed and Discovery, carrying 105 passengers, one of whom died during the voyage, departed from England in December 1606 and reached the Virginia coast in late April 1607. The expedition was led by Captain Christopher Newport. On May 13, after two weeks of exploration, the ships arrived at a site on the James River selected for its deep water anchorage and good defensive position. The passengers came ashore the next day, and work began on the settlement. Initially, the colony was governed by a council of seven, with one member serving as president. Serious problems soon emerged in the small English outpost, which was located in the midst of a chiefdom of about 14,000 Algonquian-speaking Indians ruled by the powerful leader Powhatan. Relations with the Powhatan Indians were tenuous, although trading opportunities were established. An unfamiliar climate, as well as brackish water supply and lack of food, conditions possibly aggravated by a prolonged drought, led to disease and death. Many of the original colonists were upper-class Englishmen, and the colony lacked sufficient laborers and skilled farmers. The first two English women arrived at Jamestown in 1608, and more came in subsequent years. Men outnumbered women, however, for most of the 17th century. Captain John Smith became the colony’s leader in September 1608 – the fourth in a succession of council presidents – and established a “no work, no food” policy. Smith had been instrumental in trading with the Powhatan Indians for food. However, in the fall of 1609 he was injured by burning gunpowder and left for England. Smith never returned to Virginia, but promoted colonization of North America until his death in 1631 and published numerous accounts of the Virginia colony, providing invaluable material for historians. Smith’s departure was followed by the “starving time,” a period of warfare between the colonists and Indians and the deaths of many English men and women from starvation and disease. 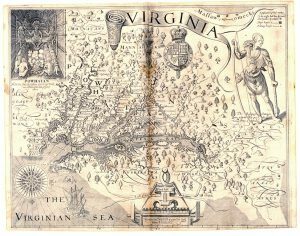 Just when the colonists decided to abandon Jamestown in Spring 1610, settlers with supplies arrived from England, eager to find wealth in Virginia. This group of new settlers arrived under the second charter issued by King James I. This charter provided for stronger leadership under a governor who served with a group of advisors, and the introduction of a period of military law that carried harsh punishments for those who did not obey. In order to make a profit for the Virginia Company, settlers tried a number of small industries, including glassmaking, wood production, and pitch and tar and potash manufacture. However, until the introduction of tobacco as a cash crop about 1613 by colonist John Rolfe, who later married Powhatan’s daughter Pocahontas, none of the colonists’ efforts to establish profitable enterprises were successful. Tobacco cultivation required large amounts of land and labor and stimulated the rapid growth of the Virginia colony. Settlers moved onto the lands occupied by the Powhatan Indians, and increased numbers of indentured servants came to Virginia. The first documented Africans in Virginia arrived in 1619. They were from the kingdom of Ndongo in Angola, West Central Africa, and had been captured during war with the Portuguese. While these first Africans may have been treated as indentured servants, the customary practice of owning Africans as slaves for life appeared by mid-century. The number of African slaves increased significantly in the second half of the 17th century, replacing indentured servants as the primary source of labor. The first representative government in British America began at Jamestown in 1619 with the convening of a general assembly, at the request of settlers who wanted input in the laws governing them. After a series of events, including a 1622 war with the Powhatan Indians and misconduct among some of the Virginia Company leaders in England, the Virginia Company was dissolved by the king in 1624, and Virginia became a royal colony. Jamestown continued as the center of Virginia’s political and social life until 1699 when the seat of government moved to Williamsburg. Although Jamestown ceased to exist as a town by the mid 1700s, its legacies are embodied in today’s United States.